Mr. McGuckin is a Vice President and Principal Engineer at Roux and has been with Roux since 1994. Mr. McGuckin is a registered Professional Engineer with over 30 years experience in environmental engineering and consulting. He holds a B.S. in Civil Engineering from the University of Delaware and an MBA from Adelphi University. 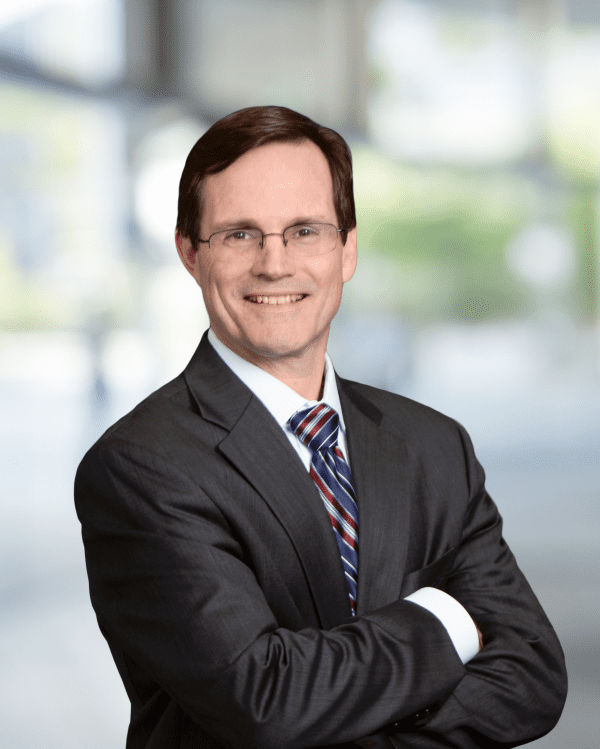 Mr. McGuckin’s areas of expertise include evaluation of remedial options, design and construction of soil and groundwater remediation systems, Brownfields cleanup plans to support redevelopment, and stormwater management studies. His experience includes manufacturing, chemical, petroleum, transportation and energy industry sites, as well as public parks and recreational facilities. His projects have involved design of groundwater extraction and treatment systems, NAPL recovery systems, landfill caps and site cover systems, barrier walls, in situ solidification of sludges, in situ treatment for groundwater, vapor mitigation systems, dredging of open water bodies, and shoreline stabilization. Decommissioning and decontamination of a pharmaceutical facility covering multiple city blocks in New York City. The former laboratory complex was decontaminated for reuse as small business space. Multiple other large buildings were demolished. Responsibilities included preparation of interior abatement plans to address lead and PCBs in building materials and review of Interim Remedial Measure (IRM) work plans for lead, benzene, and mercury-contaminated soil excavation and disposal. Groundwater remediation design included air sparge/soil vapor extraction, in situ oxidation and a reactive barrier wall using colloidal carbon and ZVI to address BTEX, PCE and daughter products. Preparation of feasibility studies and remedial action work plans for multiple operable units of a large railyard located in Queens, New York under the NYSDEC Inactive Hazardous Waste Program. For the former engine house and maintenance area unit, pre-design studies included product plume thickness data collection and modeling, ex situ biopiles treatment, in situ enhanced bioremediation, and in situ chemical oxidation. The final design consisted of decontamination and removal of structures, excavation of hot spot soils for PCBs and lead, UST closures, a dual phase high vacuum extraction system, and in situ bioremediation. Evaluation of remedial alternatives and design/construction support for multiple areas of concern at a petroleum storage and pipeline transfer facility in New England. Projects included excavation of soil hot spots, closure of large oil-water separators, a slurry wall containment barrier, a groundwater extraction and treatment system to prevent off-site migration of petroleum compounds, in situ stabilization of tar materials, stormwater system evaluations, and compliance plan preparation. Engineering certification of all remediation activities related to the seven-city-block Barclay’s Arena and Atlantic Yards redevelopment in Brooklyn, New York. This multi-billion dollar redevelopment includes the Arena, which will be focal point of a the largest redevelopment project in Brooklyn, consisting of an urban complex of housing, commercial and retail space, as well as several acres of landscaped public open space. The existing properties being redeveloped are residential, commercial, and industrial properties, including a large rail yard. Engineering certification included multiple RAWPs under the NYSDEC Spills Program, UST removals, soil excavation, in situ groundwater treatment, and remedy oversight services. The project also includes ACM and lead paint abatement, building demolition, soil pre-waste classification and coordination with the receiving facilities, and oversight of the removal of 1,000,000 cubic yards of soil (~550,000 yards removed to date), representing one of the largest excavation and soil removal projects performed in New York City. Design, construction management, and O&M of a 60,000-gpd constructed wetlands treatment system for a former manufacturing facility in Virginia. The 16-acre treatment system was designed within an existing phragmites wetland to remove zinc and iron from landfill leachate prior to discharge to an adjacent creek. The treatment system consisted of alkalinity-producing cells, oxic ponds, compost and limestone berms, anaerobic cells, and aerobic cells. The design included a 400-foot reinforced earthen dike together with hydraulic control structures and piping to maintain cell water levels and flow rates. The system also includes a pump station and force main for both effluent discharge and irrigation purposes. Joint wetlands and local permit approvals were obtained for the project. Expert settlement support services provided to a county municipality in New York. The case involved an EPA Order for underground storage tank (UST) compliance for over 50 county-operated facilities with over 125 USTs. The project involved the field inventory of the USTs at each facility and development of both interim and final compliance plans to comply with the EPA, NYSDEC, and local UST regulations. Detailed cost estimates were prepared for multiple scenarios for upgrading USTs, including tightness testing, manway repairs, leak detection and overfill protection monitoring systems, UST removal and replacement, and new piping. The upgrade evaluation and negotiations included incorporation of Supplemental Environmental Projects (SEPs) in accordance with EPA requirements. SEPs included centralized monitoring systems for leak detection and inventory control. Independent expert engineering review of change orders for the New York MTA Office of the Inspector General associated with electric utility substations reconstruction damaged during the 2012 Superstorm Sandy. The cost review focused on contracting procedures, waste classification of impacted structures and soils, and proper waste management and disposal. Findings were compiled in a report to determine if costs were legitimate and justifiable and providing recommendations for improved specifications for bidding and of management waste handling contracts. Expert report and expert witness for a former valve manufacturing facility remediation project in New York. The report was prepared on behalf of counsel for a contractor who performed remedial construction work for this State Superfund site. The actions were against the holder of the construction contract, a state agency. The remedial action included building demolition, remediation of soils impacted by chlorinated VOCs, removal of DNAPL source areas, treatment of excavated soils using low temperature thermal desorption, and consolidation and capping of metals-impacted soils. The expert project work involved a detailed review of the RI/FS, remedial action plans, and construction progress documentation to formulate opinions regarding the contract documents' industry acceptable accuracy. Independent expert environmental consulting services for a large landfill O&M contract under review by the New York City Department of Investigation. The work entailed reviewing the scope of routine vs. non-routine work performed over a one-year period for compliance with contract requirements. The O&M Work included routine cover maintenance, groundwater and gas monitoring, landfill gas extraction, major system repairs, and waste handling. Memos of findings were prepared assessing acceptability of work, compliance with permit regulations, and providing recommendations for improvements.